Product prices and availability are accurate as of 2019-04-24 06:27:34 UTC and are subject to change. Any price and availability information displayed on http://www.amazon.com/ at the time of purchase will apply to the purchase of this product. 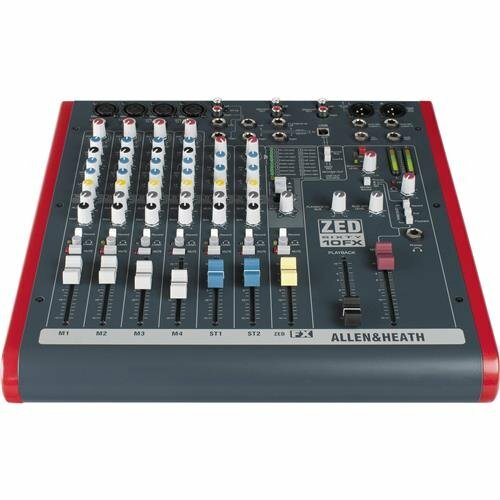 AudioDJ.com are happy to offer the fantastic Allen & Heath ZED60/10FX Multi-Purpose 6-Channel Mixer with Digital Effects and USB Connectivity. With so many on offer these days, it is good to have a make you can recognise. 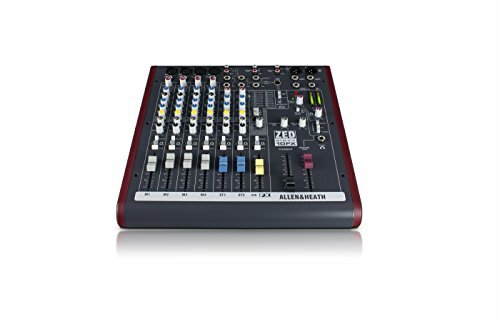 The Allen & Heath ZED60/10FX Multi-Purpose 6-Channel Mixer with Digital Effects and USB Connectivity is certainly that and will be a superb purchase. 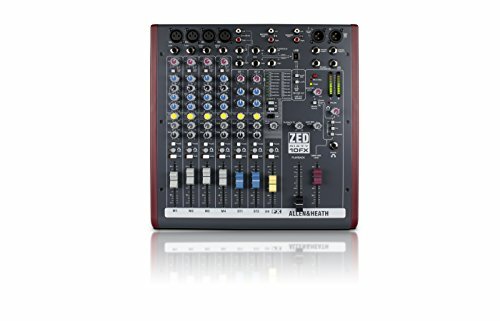 For this price, the Allen & Heath ZED60/10FX Multi-Purpose 6-Channel Mixer with Digital Effects and USB Connectivity comes widely recommended and is always a popular choice with many people. American Music and Sound have included some excellent touches and this results in good value for money. Live or in the studio, Allen & Heath's ZED60-10FX is an ultra-portable mixer for solo artists and small bands. The ZED60-10FX adds premium quality 60mm faders for that intuitive, tactile mixing experience. 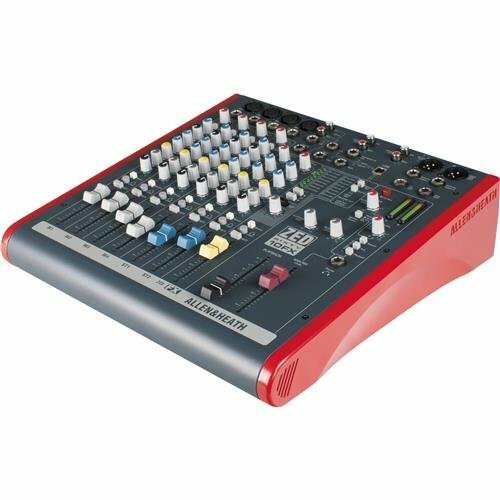 This small, 6-channel mixer packs an incredible amount of connectivity along with built-in digital effects. 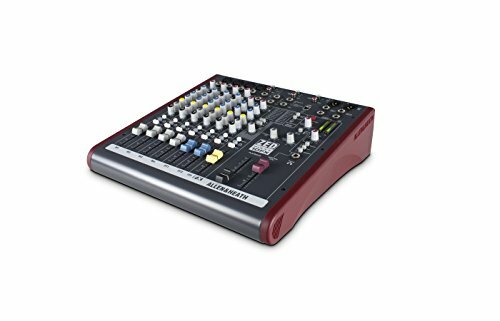 It's a great companion for live mixing, live recording, and multi tracking over USB. It features 4 mic/line inputs with 3-band EQ and Phantom Power. Channels 3 and 4 have 1/4-inch Hi-Z instrument-level inputs for connecting guitars, electric basses, etc. There are 2 additional stereo channels for connecting keyboards or other stereo sources, like a CD player or iPod. The channel strips of the ZED60-10FX have big functionality for a small format mixer. Each channel features low and high frequency shelving EQ, while the mono channels add a 100Hz high pass filter and an extra band of sweep able midrange. An FX send on each channel controls how much signal is sent to the onboard effects bus, while an Aux send can feed an independent monitor mix. After the panning controls, each channel can be sent or bypassed from the recording bus, post-EQ solo'd with the Listen button, or muted. The final stage of each channel strip is a 60mm level fader, providing a tactile mixing experience. There are 16 digital effects built into the ZED60-10FX, including delays, reverbs, doubler, flanger, and chorus. These same effects algorithms are used on the Allen & Heath flagship digital consoles. Each preset has a parameter adjust control to morph the overall intensity of the effect. The output section of the ZED60-10FX is perhaps its most versatile element. In addition to the balanced XLR main outputs, there are recording outputs and switchable-source monitor outputs both with stereo RCA connectors. Additionally, a USB output allows you to route the recording bus directly into a computer.